1 indoor water supply system The task of the water supply system is to municipal water supply network or own water, to meet the user’s water quality, water tank , water pressure requirements, the delivery to the indoor water points. Water supply system can be divided , according to the purpose of life to the water supply system, water supply systems and fire water supply system. The 50 gallon water tank with pump can be set individually or can use a reasonable sharing system. (1) indoor water supply system composed of indoor water supply system by the introduction of the tube (into the household pipe), water meter node, pipe system (trunk, riser, branch), water accessories (valves, water meters, with faucet) and other components. When the outdoor pipe network water pressure is insufficient, also need to set up pressurized water storage equipment (pumps, water tanks, storage tanks, air pressure water supply devices, etc.). 1) direct water supply direct way to the indoor water tank supply network is directly connected with the external water supply network, the use of external water supply network pressure. Applicable to the external network of water pressure, water can often meet the water requirements, indoor water supply without special requirements of single and multi-storey building. This water supply is characterized by reliable water supply, the system is simple, investment, installation, maintenance is simple, you can take full advantage of the external network of water pressure, saving energy. But no internal water storage equipment, external network without water immediately when the internal water. When the outdoor water supply network water quality, water, water pressure can meet the building internal water requirements, should first consider the use of this water supply. When the water pressure of the outer pipe network can not meet the water demand of the whole building, the indoor pipe network can adopt the district water supply way, the low area pipe network adopt the direct water supply way, the high district pipe network adopt other water supply ways. 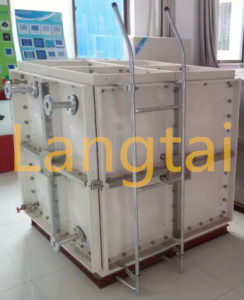 2) single water tank water supply mode Single water tank is the indoor water supply pipe network and external network directly connected to the use of external network pressure water supply, while setting the high water tank to adjust the flow and pressure. Suitable for external network pressure cycle is insufficient, the indoor requirements of water pressure stability, allowing the establishment of high water tank construction. In this way more reliable water supply, the system is relatively simple, more investment in the province, installation, maintenance is relatively simple, can take full advantage of the external network of water pressure, saving energy. Set the high water tank, increase the structural load, if the tank volume is insufficient, may cause water. 3) Set the storage tank, water pump water storage tank, water pump is the outdoor water supply pipe network to the reservoir, the pump will pump the pool of water pumping indoor water up to the indoor water points. Suitable for the external network of water to meet the indoor requirements, and water pressure most of the time less than the building. When the indoor water consumption uniform day, you can choose constant speed pump; when the water is not uniform, should adopt the frequency control pump, so that the pump in high-performance conditions to run. This water supply is safe and reliable, no high tank, no increase in structural load. But the water pressure outside the network is not fully utilized. In order to safe water supply, many cities in China’s current construction of residential quarters and centralized pump storage tank, regular or full-time water supply, also use this district water supply. 4) Set water pump, water tank of the water pump, water tank is the water pump from the reservoir pumping pressure, the use of high water tank to adjust the flow, high pressure in the external network can also direct water supply. For external network water pressure often or intermittent enough to allow the installation of high water tank construction. Set a certain amount of water tank storage, water and power outages can delay the water supply, water supply reliable, you can take full advantage of the external network of water pressure, saving energy. Installation and maintenance of more trouble, greater investment; a pump vibration and noise interference; need to set the high water tank, increase the structural load. 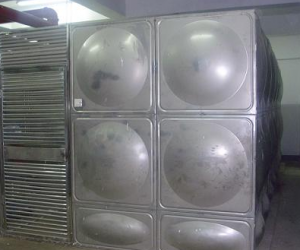 5) vertical partition water supply For more layers of the building, when the outdoor water supply pipe network water pressure can not meet the indoor water, it can be vertical partition. The water supply methods adopted in each district are as follows: (1) Direct water supply in the low zone, water storage in the low zone, water supply in the low zone, direct connection in the low zone to the external network, direct water supply by the external network, Lifting, water tank to adjust the flow. It is suitable for buildings where the water pressure on the external network is often insufficient and direct pumping is not permitted, allowing the installation of a high water tank. Seasonal water shortage in the external network for low-zone water is difficult, can be high and low areas of pipeline connectivity, and set the valve usually cut off, open the valve in the low water pressure from the tank for low water. Pool, water tank reserve a certain amount of water, water, power outages can delay the high water supply, water supply and reliable. Can use part of the external network of water pressure, less energy consumption. Installation and maintenance of more trouble, a larger investment, a pump vibration, noise interference.